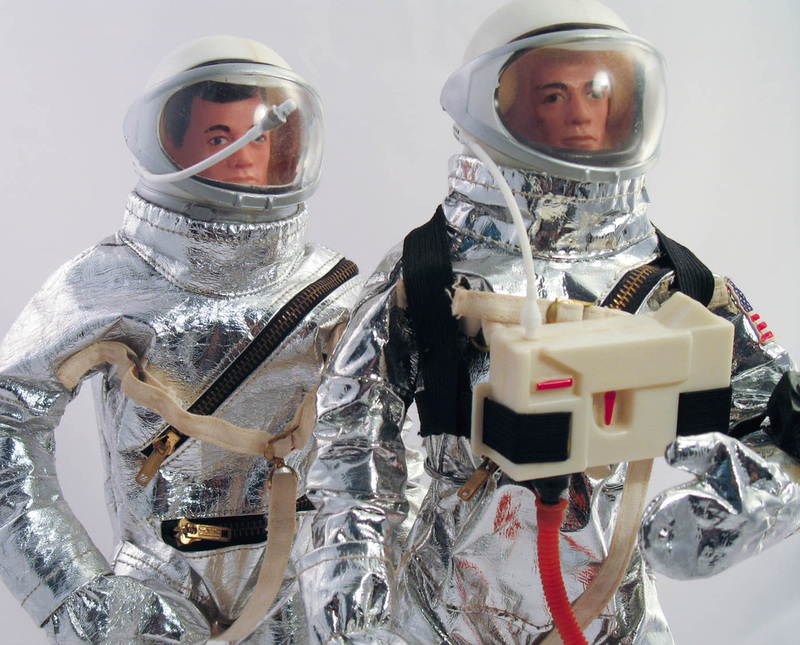 Released in 1966 the Space capsule was a best seller for the line, capitalizing on America's enthusiasm for the race to the moon. 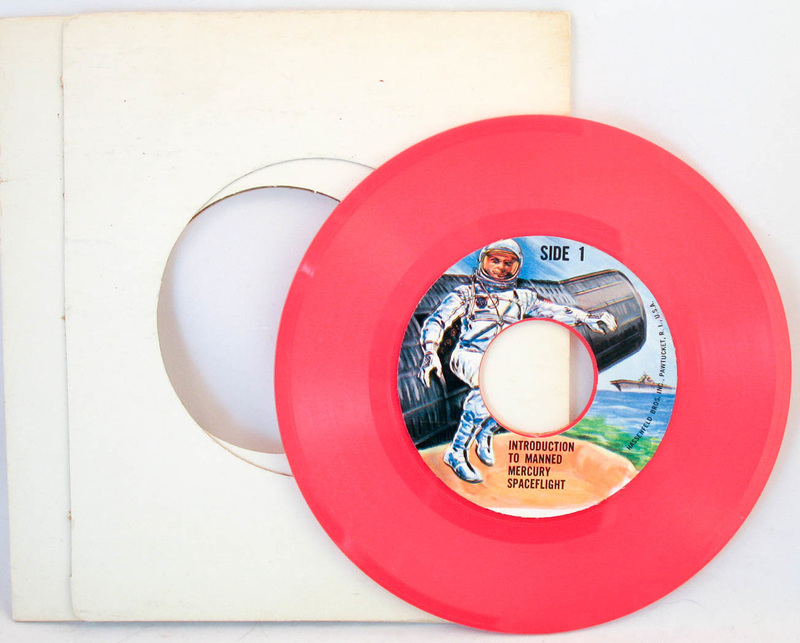 The set included a 45 rpm record with information about the space race, preparing your astronaut, and a real Mercury spaceflight recording. 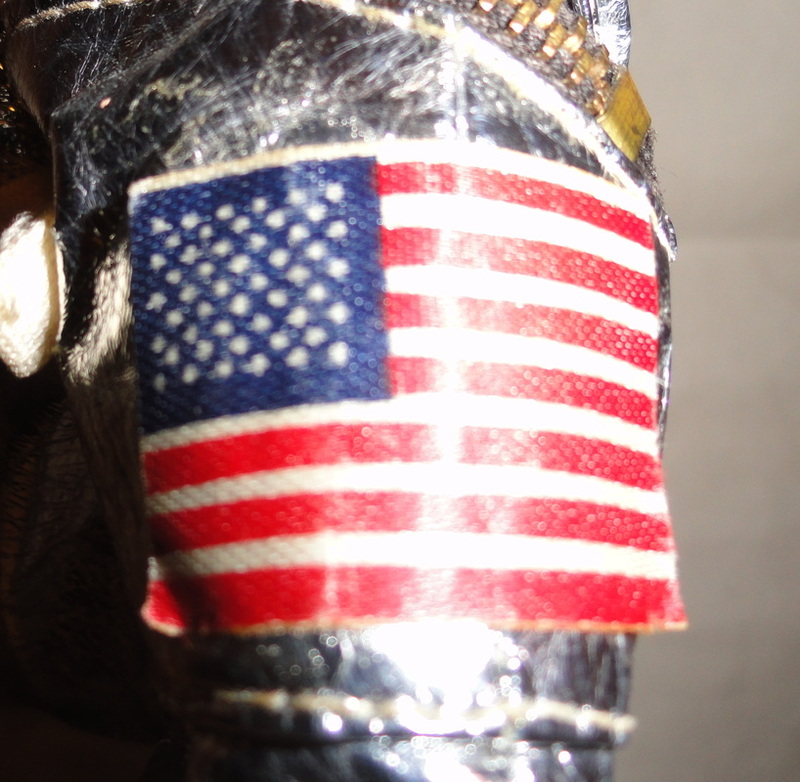 The Astronaut's space suit and helmet are well done with lots of interesting detail and an authentic US flag patch on the sleeve. Sears sold an exclusive version with some cool bonus features, see it here. 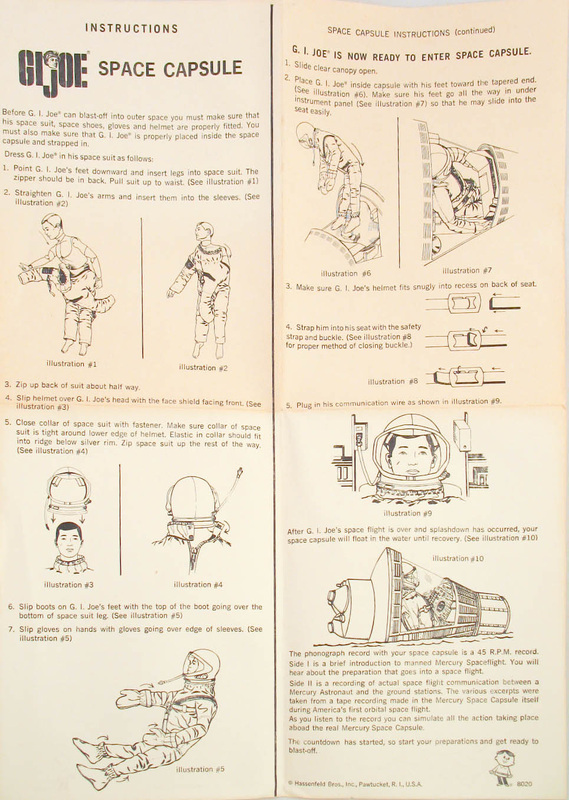 There is also an early test shot version of there capsule that can be seen here. The art wraps around two sides of the box, and there is a identical printed design on the other two (above and left). The records for the set (below) came in one of four colors, which are pictured below. 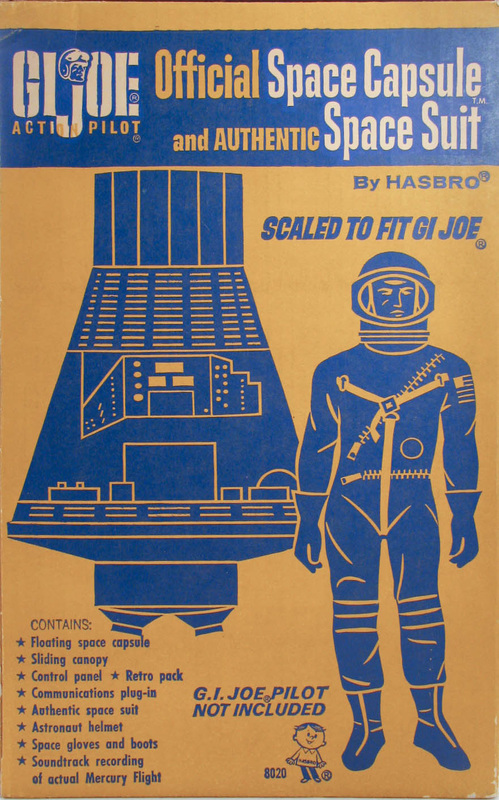 The red is shown with the original heavy cardboard sleeve that has a flap made to fit over the nose of the capsule when in the box. 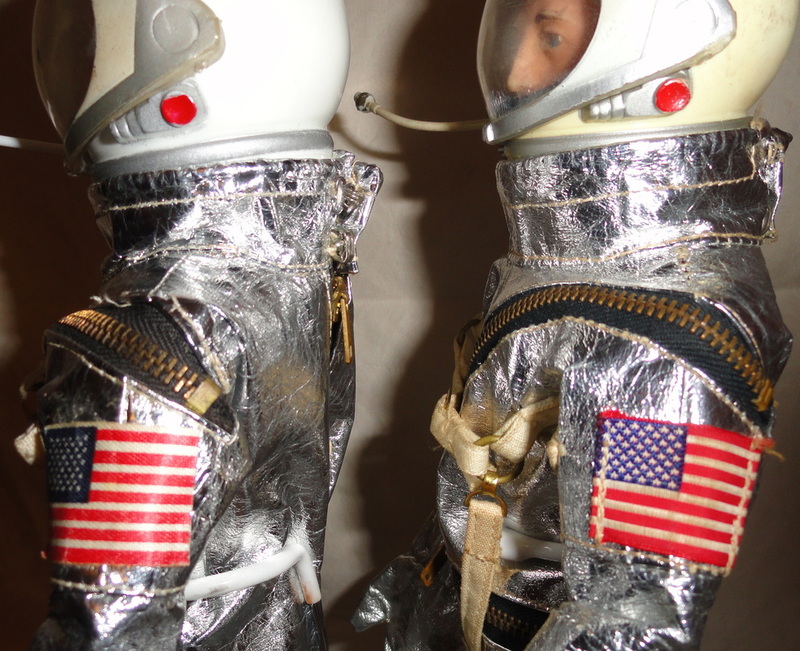 One unusual variation in the three zipper astro suit is an early version that has a stick on flag decal rather than the sewn on patch seen on most suits. No doubt many of these stickers peeled off and were destroyed over the years. The example below comes from the collection of great a Joe, Richard Chapman.